Lowa have released a new boot. It is called the Lowa Z8N boot. This Lowa boot is different from the rest. In this post I am going to talk about how and what makes the Lowa Z8N boot different from the rest. The difference is massive in most parts but still based on a high end patrol Lowa always seem to deliver. I am going to start on the look, as this boot is clearly different from most if not all other tactical boots on the market today. The Lowa Z8N boot is an pugraded version of the old Lowa Zephyr boot. You can see this in the look of the Z8N boot. It looks similar and has the funky plastic part on the side of the boot with is a famous trait of the old Lowa Zephyr boot. When looking at the boot the other thing that will catch you eye straight away is the leather of the boot. The leather is made of “nubuck” buffalo leather. This leather has a different finish from most other leather boots. The look makes the boot look more softer and funky. The reason the boot has been designed like this is because the idea was that military and police needed a dual boot. A boot that has the lightweight hiking ability and at the same time had a very tactical edge and the Lowa Z8N boot was born and made to look like this. This Lowa boot is full with a lot of technology. The first thing about this boot it contains Gore-Tex technology that means the boot is fully waterproof and built with the highest quality materials available. The boot is very lightweight and very comfortable straight from the off. The reason for the comfort is the inner lining is made by Gore-Tex and is called performance comfort. As the name suggest it is designed for comfort. The sole is designed to be a cross sole. This means it will be affective in many different jobs and all different types of terrain. The leather is very tough and durable which is very important as we like our boots to last a very long time. The top of the heel is made of the world famous Codura® fabric. This fabric is one of the toughest nylon in the market today and will not let you down. The Lowa Z8N boot has fantastic specification and will not let you down. Lowa Z8N boot – Where can I get a pair? Lowa is a brand that is so popular worldwide. 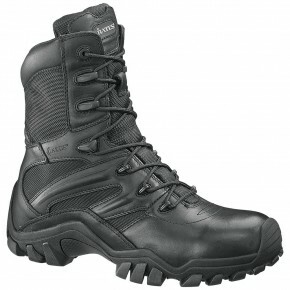 It is not hard to find a pair of the new Lowa Z8N boots. My strong advise will always go somewhere that is trusted by Lowa and know a bit about what they are selling. I always go to Patrolstore they know what they are talking about when it comes to the correct boots for the correct job. Magnum have released a boot that is perfect for a women. It is call the Magnum Stealth Force 6 Women’s Boot. You may have heard of the Magnum Stealth force range already. You would not be wrong to think as the Magnum stealth force range has been around for a good few years. 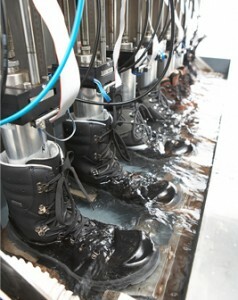 The range mainly contains Safety standard boots. This is so you can work on building sits which police officers don’t really need. So Magnum released a version designed for Women with out a toe cap and the result is great. The look of this boot was particularly important as it has to look like a women’s boot. The added difficult for a design point of view is that it also had to look appealing to women. Most boots on the market are big and chunky for a lot of women but Magnum haver got rid of that for this boot and made a slim and small ankle boot but with the added professional touch Magnum always adds to there boots. The boot is a leather and nylon boot which allow the boot to also be more flexible as well which I think is great. Magnum Stealth Force Women’s Boot – The Tech Spec. Magnum have put a lot of good technology in this boot. The first thing I am going to talk about is what makes it a women’s boot. The foot bed of this boot is made to a women’s foot. This means it is narrower and smaller and will fit to a women’s foot like a glove. The ankle height is smaller to fit to a women’s ankle which in naturally lower down then a man’s ankle. The lining in the boot is a Cambrelle®. This Lining keeps the boots moisture free, so sweaty, hot feet does not happen. This is a nice add on as it can be a nightmare having uncomfortable feet while working. The insole is a Magnum M-P.A.CT insole. This insole has a 3 layer memory foam insole which makes the feet so comfortable. The whole boot is made of non-Metallic hard wear. This means the boots will not set of any metal detectors. This saves a lot of time while on shift and is great for Airport based staff. The sole is a slip resistant X-traction sole. This sole has very good grip so you don’t have to worry about slipping all over the place during a chase. All in all I think these boots have been made to make you feel comfortable and have the perfect for a woman. 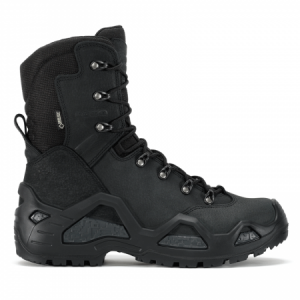 Magnum Stealth Force Women’s Boot – Where to get a pair? I have looked in a few places for this boot even Magnum themselves and they do not even sell them. Doing some research on the boot and it turns out there is only one stockist of this fantastic boot in the U.K. This is Patrolstore.com. 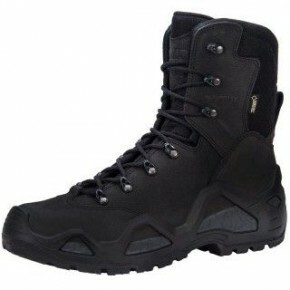 If you want to get a pair of the Magnum Stealth force Women’s boots I advise you go there. Bates are a very popular brand in the U.S and make loads of bootsfor the Military and police. In this I am going to talk about the Bates Boots Delta 8. The Bates Delta 8 were made mainly for comfort and speed for police officers. The Bates ICS system has been put in the boot to adjust the comfort to your needs as Bates understands that everyone is different. The Bates Boots Delta boot has a very unique look to it. I would say it has a very modern look to the boot. The side of the boots has random splashes of leather over the nylon panels. The sole treads sticks out of the side of the boot and can been seen. The sole also comes up the front of the boot like your running trainers do. This offers protection from scuffing the leather off the toe. The eyelets on the boots are a very strong plastic which makes the boot have a futuristic finish. I personal like the look of the Bates Boots Delta 8 side zip boot. I understand that the look of these boots is similar to Marmite. You will either love them or hate them. Bates Boots Delta 8 – What is in the boot? Bates have done a fantastic job on this boot. The boot is made from durable full grain leather which is designed so the boot is easy to clean also it makes the boot more durable. 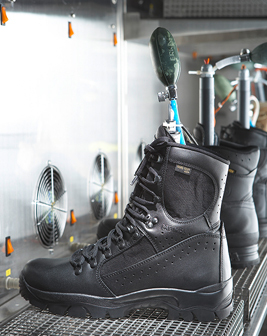 The nylon mess lining in and around the boot has been designed to be very breathable. This is in place so your feet will stay at the perfect temperature through out your shift. We all know you get unhappy when we are uncomfortable on shift. The side zip on this boot is one of the best you can get on the market. It has been designed so the user can get the boot on and off really quickly. I being not a massive fan of side zip boots was actually very impressed with with how they work. The sole is quite think and looks like the tread will last very long even for an office on his feet all day. The sole is also slip resistant so you have no worries about falling over even in the wet. The Bates Boots Delta 8 is one of lightest boots on the market which makes it designed for the every day bobby on his feet or in the car. The Bates boots Delta 8 comes with the ICS system which allows you to adjusted the feeling of the sole. It is a great addition to top off a great boot. Bates Boots Delta 8 – Where can I get a pair? Bates are a brand from the U.S and it can be hard at times to get that sort of gear here in the U.K. There are a few places that do stock them. I always have gone to Patrolstore to get mine as they have always helped me. 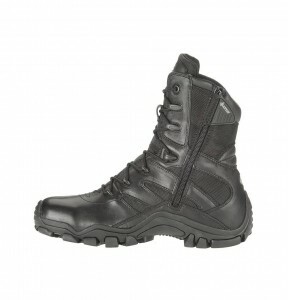 I would advise any one who is looking for a lightweight side zip boot to go for the Bates Boots Delta 8 side zip boots. Adidas worked very close to the German GSG9 to make a tactical boot. The result was the Adidas GSG9.2 boot. This Adidas boot is very special in all aspects and is designed as a full on tactical boot. In this post I am going to do a run down of the boot. What makes it special, the look and much more. Adidas have come up with a tactical look with a bit of sport added to it. It looks really cool. They have even managed to get the world Famous Adidas stripes in the boot. This of course fits in with the style of the boot and does not stand out like they do normally in there trainers. The front of the boots look at bit bent upwards but there is a reason for this. It makes the Adidas GSG9.2 Boot a lot more flexible so do not let that put you off. The look as a whole is a sporty tactical look which old school people may hate but newer younger officers will love. To be the boot that one of the top specialist police teams in the world use there has to be a lot of really good technology. Adidas has not disappointed in this way. The boot is a full grain leather boot. This makes the leather tough and durable. The boot has a AdiTUFF material underfoot which makes it more supportive and gives an added protection. 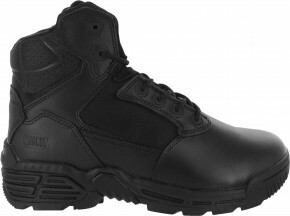 This protects your feet while on shift and again adds to the durability to the boot. The collar of the Adidas GSG9.2 boot is perforated. This allows your feet to breath a lot more then a normal collar would. The arch of the boot is made for safe and precise rappelling manoeuvres. The insert of the boot is a adiPRENE heel insert. This is a Adidas design which is made for comfort and shock absorption. This a great design and great to have while you are on shift. The boot is water, Oil and Petrol Resistant. This is a fantastic idea as your feet will stay dry and safe from any other chemicals. Reading the information above you are properly thinking this does not sound like a every day patrol boot. You are right this boot is not designed to be your everyday patrol boot. This boot has been designed for specialist. 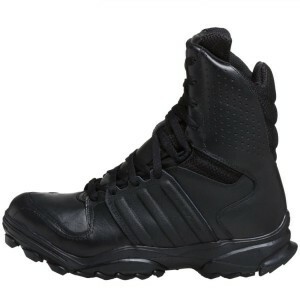 If you are in the Police and have a specialist role go for the Adidas GSG9.2 Boots. Adidas GSG9.2 Boot – Where can I get a Pair? You can get these boots in a lot of places. You can even get them direct from Adidas. 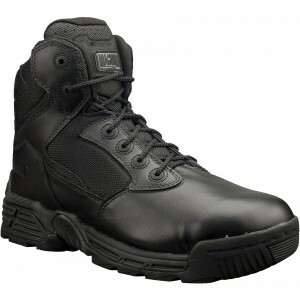 These boots are very popular among a wide range of people and are getting very popular among Police officers. I advise you try the boots on first. You can try the boots at Patrolstore. They are very helpful and they have ex police officers working for them so they understand the demands of the jobs. The Magnum classic boot has been redesigned. It has the same Magnum classic look but with new Magnum technology.